Sexual harassment cases have garnered much attention in the media these days, from Hollywood scandals to the #MeToo movement. It’s a serious issue and not exclusive to an individual’s personal life. Such abuse can happen to anyone, anywhere. At work, it occurs to one-fifth of American adults. Many companies recognize this, which is the reason professional leaders stress the importance of sexual harassment training. Here’s why companies across many industries are requiring harassment training for employees. No matter how big your business is or what industry you operate in, the safety and wellbeing of your employees is paramount. To that end, it is important the companies provide an environment that is free of any harassment, discrimination or retaliation. For managers and supervisors in California who work in companies with 50 or more employees, it is a legal requirement that they undergo sexual harassment training for at least two hours every two years. However, we recommend that companies of all sizes to require this training since we find that more and more small businesses are being exposed to expense sexual harassment claims – which could have been prevented or minimized had the company required some form of training for all its employees. You may have an ergonomic workplace, workers’ compensation opportunities, and even mental health days. Without sexual harassment training, though, you’re not giving your employees enough protection. Everyone on your team needs to know that they work in a safe, hostile-free environment where inappropriate behavior is not allowed. There’s a noteworthy difference between someone feeling slightly uncomfortable versus being a sexual harassment victim. Still, neither should be acceptable within your business. Regardless, company representatives must be well trained and know how to handle or investigate each issue properly and in a timely manner. Without proper training, employees will not know whom to report allegations to or how the investigation process works. Furthermore, clarification on what is and is NOT a hostile work environment, sexual harassment or appropriate workplace behaviors could reduce the number of severity of claims in the first place. Moreover, properly training could potentially prevent costly and emotionally taxing retaliation claims. Often, training can empower a victim to use their voice. When they see everyone on their team coming together to recognize how big of an issue sexual harassment in the workplace is, they feel more comfortable speaking up about their own experience. Or in some cases, they will be empowered to speak up if they witness sexual harassment occurring elsewhere in the company. In addition to training, a company must make posters and other literature visible and readily available in common areas of the workplace. This helps to set the tone that harassment of any nature will not be tolerated and provides guidelines to how to address the issue if it should happen. It also gives those fearful of vocalizing their concerns added encouragement to bring the topic up with a supervisor. In 2018, California passed new regulation, requiring employees to report sexual harassment to managers other than the employee’s own direct supervisor. This is to help further protect the complainant and ensure that the issue is taken care of and not hidden or muffled by a manager who may be protecting another employee or neglecting his/her responsibilities. The final reason to invest in continued training for sexual harassment and other employee safety matters is to uphold the strength of your team. Imagine having to work under the same roof as someone who has harassed you, or worse, right next to them every single day. It’s something no one should have to experience. 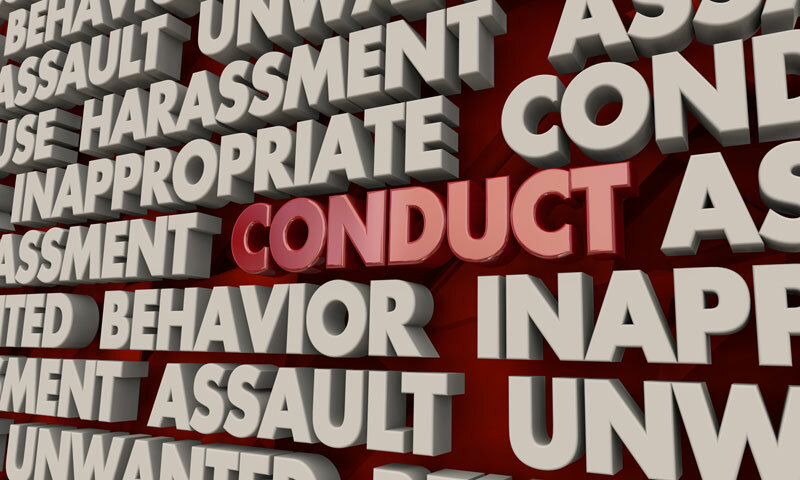 When you stress the importance of sexual harassment training and take immediate and necessary action when it occurs, you send a clear message to your team that the company has a zero-tolerance for this type of behavior. This speaks volumes and is a great tool for team, morale and culture building. It tells everyone you care about your employees and their wellbeing and it encourages team camaraderie and collaboration. From a management and branding perspective, positive employee relations mean better productivity and the maintenance of your company’s integrity as a whole. It’s one thing for you to understand the importance of sexual harassment training and another for everyone on your team to be on the same page. If you feel like there’s a lack of harassment understanding in your company, bring the issue to your human resources department. If you are part of HR or a member of the executive leadership team, click here to get the training process started with us.